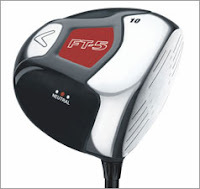 Three competitors in today's Nissan Open were using the FT-5 Driver .. and Callaway has to be happy. Phil Mickelson, who is currently leading at the Nissan Open, Charles Howell III -- who is tied for fourth place and three strokes behind the leader -- and Rocco Mediate, currently tied for 19th place and eight strokes back are swinging the driver well. 0 Response to "Callaway FT-5 Driver Making Good Showing"